We were out walking the other day, and I spotted some wild garlic. Honestly, I don’t know how I knew that is what it was, I just did. I walked over and tugged on a top. I guess I kind of expected the bulb to pull out. It did not. The top broke off. Determined stuff. Whatever, it told me what I needed to know. I was right! A pleasant garlicky smell drifted up from the stems, and stayed on my hands. I grabbed a clump, and started working on it, trying to see if I could get a bulb up intact. It is VERY deep rooted for a bulb, so it took a bit of working. The bulbs tend to be several inches down in the ground, all tightly clustered together, with this little bulb clinging to the end. I finally managed to separate out a full plant. I toted it home and planted it in one of my pots in my container gardens. Then I got online and did an extensive search to make sure that I did indeed have what I thought I had. The verdict? If it smells like garlic, and has tube like leaves (just like chives), then it is indeed wild garlic. It is considered a weed, and an unwelcome one almost everywhere that it grows. This is because it can cause problems for horses, and if milk cattle consume it, it will flavor the milk (in fact, butter made from such milk was considered a specialty item in Switzerland at one time). While this means you really have to watch for patches that have been treated with herbicide, it also means that when you find good patches, no one minds if you quietly remove them. It is fairly resistant to most herbicides, so it can survive even when it has been treated. Healthy wild garlic looks different than struggling wild garlic, and if it has been sprayed, it will most likely survive, but be less healthy. Stuff that is struggling will look kind of like anemic chives, with the leaves splayed out more, and shorter. The healthy stuff has straight leaves that stand right up, and it grows in a tight very tall cluster, instead of a floppy and spread out bunch. I snuck out and liberated some more the next morning, and scattered it through my pots. It helps deter some kinds of pests. Since it is a bulb, it transplants easily, even if it does not have much root on it when it is moved. It should be moved before it sets blossoms – it will form a classic teardrop shaped green bud at the top of the central stalk, which will then form a cluster of bulblets and kind of odd flowers. The bulblets will scatter around it when they mature, giving rise to the next generation of wild garlic. It appears that the bulblets may be more of a seed packet than a true bulb, because they drop to the ground and grow – but the new garlic bulbs form 2-3” underground. Some of the new ones also split, sometimes into two or even three bulbs. I gave it some time to flush out, with a few good waterings, and some time to let any contaminants from the previous location work out. Not knowing what the neighbors might have applied to the growing location, this is a good idea (though it appears they did not use herbicides – other properties did have wild garlic, but it was wimbly and pathetic compared to the lush and upright clusters that I dug). You could do that by putting the bulbs in water for a few days if you did not want to grow them. When I was ready to sample it, I chopped about 4” of two green spears very fine, and cooked them in butter with some sausage. I made a cheddar cheese sauce and mixed the sausage and garlic into it, and put that over some rotini. The flavor was gentle, and a little more complex than domestic garlic. It was a very enjoyable flavor. I think complements cheese a bit better than domestic garlic, which can get a bit nauseating when combined with cheese, and I think it would do better with potatoes and perhaps eggs as well. A little seems to go a long way, though the flavor was not overpowering, nor was it sharp or hot like garlic can be if you get too much. Had I used more, or if I had used the bulbs, the flavor may have been different than it was with just the greens. I had used a similar amount of domestic garlic greens in a similar dish, and the flavor was more concentrated. The wild stuff seems flavorful, but mellower. The wild garlic does not seem to have a strong after-taste, and it doesn’t give one garlic breath as easily as domesticated garlic. It does have some health promoting benefits that are a little different than those of domestic garlic. Similar in the kinds of things it helps, but different in how it helps. This is something I definitely want to have on hand for use, and as a part of my herbal medicinal arsenal. Enough to deliberately cultivate it in a controlled environment. It may seem silly cultivating weeds, but some are so valuable that I find it worthwhile to assure consistent availability. It was a nice find, and one that I am enjoying. “Look at all that chickweed!” I said, as I finished showing the neighbor the ginormous patch of chickweed just waiting to be gathered. He pointed to the patch next to it and asked, “Is that one edible?”. I glanced at it. Green leaves, vertical growth, pink flowers popping out between the layers of leaves. “I don’t know.” I told him, “But I can find out.”. I circled the edge of the fence and came around to my front door, and went in the house. I got on the computer, and searched for “pink wildflower”. Then I went back out to memorize the features of the flower in question. Right by my door – vertical growth, green leaves, pink flowers popping out between the layers. I looked it over. Rounded scalloped leaves. Square stem. The leaves formed little pagodas up the stem, each layer smaller than the last. A spray of buds and fluted blossoms on top, and more blossoms between each layer. I went back in, to look at the search results. It took a while. But eventually I found it. Henbit. A fairly aggressive weed that can fill entire fields with a splash of purplish color in the spring. I went back to the search engine and put in “henbit”, and dug through more descriptions and images, just to confirm and make sure of the identification. No question, there wasn’t anything else exactly like that! I searched “henbit edible”. Sure enough. Oh, not one of the more popular wild edibles in your ordinary “I eat a few weeds around the farm” type person, but very commonly consumed among rabid wild foragers (I use that description with the utmost respect!). does not always have reddish leaves at the top. I learned how to distinguish Henbit from Purple Dead-Nettle. People talked about the differences exhaustively, explaining the differences in the leaves, the colors, the blossoms, the arrangement of the leaves, etc. To me, the difference was simple once I saw a good picture. Henbit has rounded scalloped leaves. Purple Dead-Nettle has pointed scalloped leaves. The shape of the leaves is distinctly different. The rest of the differences may vary depending on how they are raised, the stage of growth, etc. But THAT is distinctive in each. Once I recognized Henbit, I knew for sure it WAS Henbit, and not Purple Dead-Nettle. Not that it mattered all that much, since both are edible, but I like to be certain. I also searched the medicinal properties. Just to make sure that it did not have something that would aggravate any of my known issues. In fact, it sounded like a good match for some of them, so I gathered a little from around the door and front of the house. Henbit is fairly chewy. I like it boiled for about 5 minutes, or sauteed in butter and garlic. When added in with spinach I can’t really tell the difference, except it takes a little more chewing. I have also eaten it in a salad – takes even more chewing. Flavor is unremarkable – just sort of green. Texture a little rough. Not hairy. I am not fond of hairy. Over the next few days, I experimented with it and a few other discoveries. Then today, Kevin brought home the rabbit hutch he’s been working on. He had to drop it off and then head off to do some work in another location before lunch. He and the driver dropped it off… right in the big bed of chickweed. Just about the time I ran out of henbit on this side of the fence. After the rabbit hutch was moved, I wandered over to survey the damage, and see if I could gather a bit of henbit to mix with dinner. There was the chickweed – sadly crushed, but rallying. And right beside it… NOT Henbit! Purple Dead-Nettle! I recognized it even though the leaf color was green to the tops, without the characteristic red or purplish blush on the top leaves (that comes with full sun – I have long known that reddish colors in plants tend to come out with sunlight, and these were in the shade of the fence). I did do another net search to make sure that my assumption about the red color was correct, prior to using any. It is called Dead-Nettle because it does not sting, like Stinging Nettle. Dead-Nettle is not really a nettle, rather, it is a member of the mint family, as is Henbit. Both have square stems, characteristic of that family of plants. The leaves are fuzzy. Try as I might, I could do no more than nibble a single leaf, just to say that I had. The flavor had a bitter edge underneath, but was otherwise an unremarkable anemic green flavor. Based on how it is described by other people, I suspect the flavor may be affected by how and where it is grown. I can’t quite manage that much fresh fuzzy, so this is something I will be using only as a pot herb, or pureed to bits in a smoothie. I had some in a smoothie later, and it imparted a bit of vegetable flavor to the drink, but was not strong enough to isolate a particularly identifiable taste. There is less said about the edibility of Purple Dead-Nettle than about Henbit. The hairiness of the leaves seems to put people off, except for die-hard foragers. I do like the blossoms though! 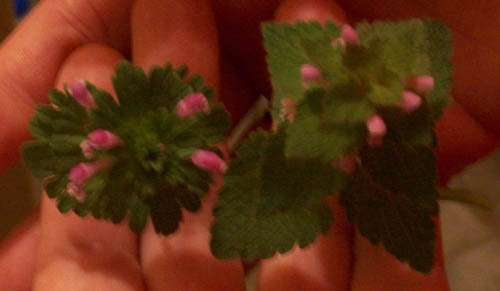 They are a valuable nectar source for bees in the early spring (as are Henbit blossoms), and they taste lightly sweet. Of course, gathering just the blossoms for anything more than a scattered garnish would be unbearably tedious. They were fun to pull out and taste though. It was kind of cool to find the Purple Dead-Nettle, and to instantly recognize what I had not recognized mere days before – that we had two different, but very similar plants growing on opposite ends of the fence. And to recognize now that they only look similar when one is not paying attention. Once I examined them to identify the first one, I could no longer mistake the two. It took only a close look to see the many differences. Even though I don’t consider it a choice edible, it is nice knowing that I can use it if I need, and trying it has given me an idea of what to do with it to make it tasty and enjoyable if I do have the need. Eating Weeds – How Do They Taste? Eating weeds is either a fascinating idea (food you do not pay for), or a repellant one to snobs who cannot see how a weed could possibly measure up to foods that you buy. The biggest fear that I’ve noticed in people, who might want to try them, is a fear that they might taste horrid. They somehow feel that if it has been overlooked as a commercial food, that it must not be palatable. That simply is untrue. The fact is that most cultivated foods are not cultivated because of their superior flavor or ease of growth. Some DID have a superior flavor at one time. Long ago. Before they were bred for durability. Durability and flavor do not go hand in hand. Most produce items on the store shelves are there simply because they can be shipped long distances without breaking down rapidly. The foods listed below are all classed as weeds. But they are also edible foods. They are best when eaten very fresh – same day, or within minutes of picking. Some may be preserved by drying for later use. They don’t really pack and store very well though. I don’t think anyone can truly answer the question of “What does it taste like?” for someone else. I can tell you what I think it is similar to, or I can tell you that I liked it. I cannot tell you whether YOU will like it. I can, however, reassure you that I did not stick any of these in my mouth and grab my throat making gagging noises. Most are fairly bland, unremarkable, with familiar flavors that are nondistinctive, much in the same way many lettuces seem to be. Blossoms, stems, and leaves are edible. Leaves taste bland, stems may taste tangy (pleasantly sour). Cooked, clover quickly darkens to a rather unappetizing color of dark olive green. It gets lost if you mix it with other cooked greens, and you won’t be able to taste it specifically. In a salad, the fresh smaller leaves look pretty, do not seem to have a distinctive flavor unless you run across a stem. Clover sprouts or microgreens taste similar to alfalfa sprouts. I ate clover blossoms as a child, do not remember them as being anything special, just one more thing to nibble on if you found them. They lose their color, and they go gray if cooked, and are prettiest used fresh and raw. Clover is probably not distinctive enough to feature it in a recipe. It is pretty enough, either leaves, or blossoms, to use for garnishes and to add visual interest to fresh food. I think it is worth using, because it grows so well, is nutritious, and easy to find and harvest. And less costly than buying vegetables! It is up and thriving very early in the spring, before spring vegetables are even thinking about giving you anything to eat. Some people describe it as lemony – but to me, it is just that common tangy flavor of some wild greens. Tart – either mild, or strong. Some say it depends on the time of day when picked, with stronger tang in the morning, lighter in the evening (there’s a scientific reason for this having to do with how it stores and uses nutrients). Our purslane has been very mild flavored, crispy and a pleasant addition to a mixed salad. I’ve only eaten it fresh and uncooked, have not tried it in stirfry, which is the other very common way to use it. I find this to be good enough to grow intentionally. I wasn’t sure how I’d feel about a succulent, but it is just really good. I eat a lot of salads, and appreciate some variety in the greens. Purslane grows so easily in such poor conditions, without any encouragement on our part, that it just makes sense to take advantage of it. Can be eaten cooked or fresh, most commonly used fresh. It tastes… green. Sort of grassy. If you pick it, wash it, and store it in the fridge, it can develop a tangy edge over a few days time. Cut off sprigs, and snip them up into a salad. Or, if you want a very pretty way to dress up the top of a salad, cut just the top 1″ off the sprigs, and scatter those across the salad. I have not tried it cooked. It just did not seem to appeal to me. This is a green that I’ll be using again and again. It grows well without help, is EVERYWHERE, and is easy to cut and toss into a salad. It tastes good and the ends of sprigs look lovely. It is very pretty with blossoms on it as well. The whole plant is edible, but the tops, with the flower buds, make a very nice garnish. Uncooked it has kind of a fuzzy feel which I don’t much care for. It has a rather non-descript flavor. Cooked, it is similar to spinach, but a little chewier. I like this one best with an assortment of wild greens, tossed in a skillet with some butter and a sprinkle of garlic powder, and heated until the greens wilt. The flowers lose their bright color, but the greens have the same kind of non-spicy flavor as spinach. It would also be good cooked and spritzed with vinegar, or stirred into scrambled eggs. I don’t think this is anything special, either nutritionally, or for taste. But it is so plentiful where not much else grows, and does make a fairly good all purpose cooked green. For that reason alone, it is one that I am using on a regular basis. I’ll also be drying it for use in the winter. We picked just the lighter green tips from the plants that were not even close to setting flowers. You can eat this fresh, or cooked, but cooked is recommended. It has the same texture as mature blades of grass – kind of rough, but not stringy. Cooked, it wilts into a green that has a milder flavor than spinach, but remains a little chewier. It can be used in the same kinds of dishes as spinach, where a milder flavor is wanted. This weed can spread very rapidly, and it seems to me that picking out the tops and harvesting it instead of letting it run rampant and go to seed is an excellent way to get some use out of it while controlling the spread. It is a good edible, and can be used in enough ways that it is one that I’ll continue to look for and take advantage of. It has some medicinal uses, so I’ll also be drying some for tea. Plantain leaves are a good cooked vegetable. Very similar to spinach, with a flavor that is pretty close as well. It can be used interchangeably with spinach.The main problem we had with eating Plantain was getting enough of it to really use. It is not a prolific weed – it does grow in poor conditions, but does not spread aggressively. I don’t think I’d cultivate it for use unless I needed it for medicinal purposes. If I run across it on a forage, I’d happily add it to a basket, but I don’t think I’d go out of my way for it, and it really isn’t worth creating recipes around due to the small amounts gathered at one time. These two wild leafy plants taste very similar, but look very different from each other. They both have a pronounced sour flavor (not unpleasant), better used as an accent than as a feature. The chopped leaves can be sprinkled over a salad to add a bit of tang, or they can be cooked as a pot herb. I have heard of making gravy with them. I have never eaten these at table. I’ve nibbled on them while playing in the woods as a child, and while hiking when I was older. We referred to Wood Sorrel as “Sour Sorrel”. I don’t think I’d use these as frequent foods. They are fairly distinctive in flavor, and best suited to grabbing to enjoy something fresh on the trail. If I ran across them on a forage I would gather them sparingly, but not in quantity. They aren’t something you’d want to make an entire dish from. I’ve tried one raw leaf of this rather fuzzy plant. Could not do more than that, the fuzziness of the leaves puts me off. I have also cooked it, used it in a smoothie, and eaten the raw blossoms. The blossoms were a tiny delicate treat, and I did enjoy them. The cooked vegetable has a strong green flavor, with a slight bitter edge. I suspect this weed may taste different depending on the climate, and growing conditions, because I’ve heard it described differently. Either that, or there is no accounting for tastes! It was not bad in the smoothie, just adding a green background flavor. This isn’t something I’d go out of my way for. It isn’t nasty or anything, just not something I could say I really liked (except for those tiny blossoms). It is something I’ll use in mixed greens or cooked dishes though, just because it is plentiful and often THERE, and it is a free vegetable. It isn’t unpleasant – other than that fuzziness, which is kind of a personal tactile thing. I love the flavor of wild garlic in mixed dishes. It is a little more complex to me than domestic garlic, and adds a nice savoriness to foods without any heat. Use it as a seasoning, and not as a feature. I like this so well I transplanted some into my gardening pots. Not only is it good food, and has some nice medicinal effects, but it also helps deter some bugs in the garden. Fuzzy clingy stuff, is edible raw, but I am just not into eating hooky velcro. Cooked, it tastes kind of green, slightly fresh pea flavored. The flavor does not seem to darken with cooking. Cleavers also has some good medicinal effects, but it depends very much on the type – there are many many varieties of it. I’d use this again if I needed food. Not sure I’ll go out of my way for it under normal circumstances though. It gives me a bit of itch when I pick it, so I don’t like handling it. I’ve eaten other wild foods – mostly berries. The particular foods listed here are remarkable because each one is considered a weed, and many are considered to be invasive pests. Eating them seems to be particularly smart – they are plentiful and free, and unwanted, so you can’t over-harvest. There are an astonishing number of weeds that are edible, and they occur all across every country in the world. Vegetables are getting harder to afford, and knowing just a few of those edibles can help to offset the cost of greens on the table to a significant degree. Half of the green food I’ve eaten in the last week has been weeds! That is a significant amount of food! It is worth a try. Make sure of your identification, and then go try them out. Taste a leaf. Then sprinkle some on top of your lettuce salad, or toss some in with your spinach or collards. You can get creative and find recipes that use them if you want – they are all over on the internet – but using them in simple ways will help you know if you like them or not. Grab your basket, and go hunting! There are actually quite a large number of edible weeds. I don’t like many of them – I dislike the taste of dandelion (though I do use it as a medicinal herb), and the texture of a few edibles is less than enjoyable (mullien is just too fuzzy, thank you anyway). I like Plantain, but can’t find it growing here. I’m pretty sure the prolific weed in our flower beds is Mare’s Tail, but there are so many similar weeds that I am not absolutely sure if my identification, and not quite confident enough to toss it in the bowl or pot until I am certain. Last night though, we walked outside our front door, and looked in an area we’d previously ignored (being hidden by our neighbor’s cars), and found chickweed. A lot of chickweed. Some of it is in an area we would not want to use it from, but there are a couple of really lush plants in the corners that I am going to transplant, and put to work. When I showed it to my neighbor, and explained what it was, she said, “I’ve been trying to kill that!”. This is actually kind of funny, because she has been trying for years to get something “edible” to grow in that spot. I suspect she may decide to serve up the Chickweed with dressing instead in the future. Edible weeds are terrific because they are tasty, free, and they grow exceptionally well without any special care. Many are very high in vital nutrients – more so than more popular cultivated greens. Some have special properties that will aid in recovery from 21st Century illnesses. Chickweed is just such a plant. Proliferates easily, healthy for most people, and has some special attributes. It has long been associated with weight loss. It contains saponins, which aid the body in breaking down and releasing fat. This means that for certain people, overconsumption could be a problem. Our neighbor’s husband has difficulty retaining weight, so he’d not want to be chowing down on chickweed every day. Because of this attribute, and how the body rids itself of excess weight, people with liver or kidney ailments would need to exercise caution in consumption as well. A cup or so of fresh leaves a day is MOST likely safe, even for people with medical problems of this kind. You just don’t want to go hog wild on it and try living on chickweed salads if you have this kind of medical issue. Along with purslane, and Lamb’s Quarters, chickweed is another plant that we’d do well to stop fighting, and start using. 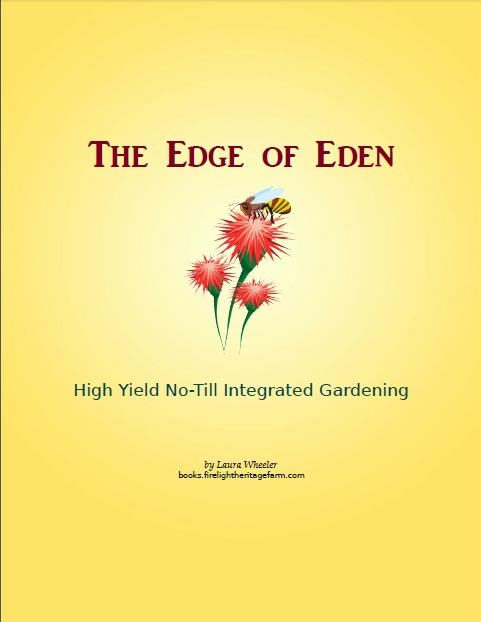 Every part of the plant above the ground is edible – stems, leaves, flowers, and seeds. The roots are sometimes used medicinally. The leaves and flowers taste “green”. There is no other word for it, they just taste green! The stems are crispy, the rest has a texture more like leaf lettuce. 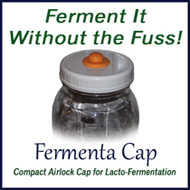 It is valuable not only as a food crop, but as a forage crop for animals. It is an aggressive seeder, so gathering seeds from it in the fall means you can easily toss out seed to extend the range of this friendly weed. Poultry loves it, and it is good for cattle and goats, and of course, pigs love it. If you absolutely cannot find any near you, there are sources for seed online. It will thrive in a pot, or pretty much anywhere. It does well in poor soil (sandy or gravely, even clay), and bursts forth in lush green each time it rains. It produces tiny white flowers which are enjoyed by bees and butterflies. Definitely something of worth, which should be rediscovered and appreciated. There are a surprising number of weeds that are edible. Two of the most common everywhere are Lamb’s Quarters, and Purslane. Once you learn to identify these weeds, you’ll realize you’ve pulled them out of your gardening beds for years. I remember pulling both from the gardens as a child. If only I’d known they were good food, I’d have told my mother to let them grow and harvest them with the lettuce! Interestingly, both of these weeds may also be known as Pigweed. They also have other common names in various regions of the world. They are both drought tolerant, and will grow in poor soil, and heat does not make them flinch. Purslane is a succulent, and stores water in the leaves and stems (the image above is of Purslane in a pot – it grows flat to the ground and spiders outward from the center when grown on the ground, and the stems are typically more red than what is shown above). Lamb’s Quarters uses a different tactic – sending down a long and tough taproot (this makes it a valuable plant for helping to keep good deep soil condition). Both plants are highly nutritious for both people and animals. Purslane could be classed as a superfood, for the amount of Omega 3 alone. I scored some Purslane in a pot today. Funny thing about Purslane. If you have a garden, it will pop up pretty much anywhere there is bare ground. When you are not looking for it, it is everywhere! But if you live where you do not have access to much bare ground, it can be hard to find. Some garden stores are now carrying it as a drought resistant ground cover, or as an edible herb, and a few online sources are carrying seed. You won’t find anyone doing that with Lamb’s Quarters. But it seems to grow everywhere too. Both can be grown from seed – you can save it from plants one year to seed in the next year if you feel the need. Both are such useful plants, it just may be worth it to do so. They are both annuals, so they require reseeding each year. 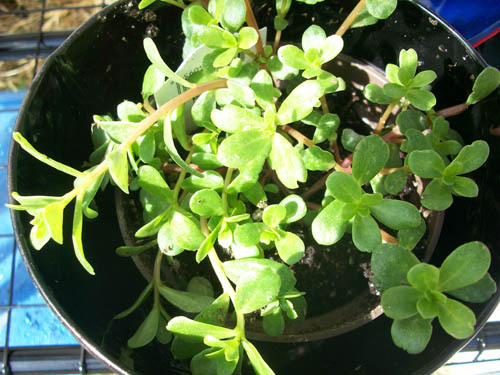 Purslane will also easily root from cuttings. It roots faster than just about anything else, and doesn’t even need to be buried in soil to root! As long as it stays on top of damp soil, it will root just laying there. It will root in a few days in water. If you break off a branch to root (or eat), it will branch and come back stronger than ever. Lamb’s Quarters is edible raw or cooked – in general, the younger tender leaves can be used in salads, while the older tougher leaves make a good boiled green, just like spinach (only they need to be boiled longer – 30 minutes is recommended). This is a high calcium green. The seeds from Lamb’s Quarters are also edible, and may be used like Quinoa (in fact, they are from the same plant family). The plant produces an impressive seed plume, similar to amaranth, but far coarser. Each plant will produce enough seed to be well worth the effort. As an animal feed, it is also excellent. The greens can be fed to pretty much any farm animal. The seeds also make a great grain replacement for poultry. The plants can be harvested and dried, and bundled for use in the winter, either before they send up seed stalks, or after but before the seeds mature. Free animal food. It doesn’t get easier than that! Now, what about that Purslane? The entire leaf and stalk is edible, and so are the flowers and seeds. It is crisp in a salad, but may also be cooked, and is sometimes used in stir fry where it is just barely cooked. It has a tangy flavor, but chances are if you add it to a mixed salad you won’t even notice a difference in flavor, though you might run across a crispy piece now and again. There are actually recipes from a wide range of cultures which call for Purslane. It is also a useful animal feed, though it is so small that it may be difficult to gather enough to make a significant difference if you have a large number of animals. Ducks and chickens absolutely love Purslane, and treat it as candy! Deer and goats also like this crunchy treat. It is good for rabbits, but they don’t seem to be as crazy about it as the ducks are. Summer is coming, so watch for these two useful weeds, and make them work for you instead of spending all your time fighting them! There are many other edible weeds as well. I spotlighted these two because they are so common, and so easy to recognize. There are an amazing number of things you can grow from the grocery store, and a surprising number which can be grown from scraps that you’d normally throw away. A lot of these, you probably know about already. A few were surprises to me. There are three kinds of foods that can be grown, and only one is technically “scraps”, but the others qualify under certain circumstances. This list is not comprehensive – you’ll likely think of a few of your own as you read. If you have a compost pile, and have ever had volunteer plants come up, you’ll already know that some things thrown out will still grow and produce. Seeds – Almost any food that you buy that is fresh, or sometimes dried, which has not been chemically treated, or canned using heat, may contain seeds that are viable. Tomato, fig, strawberry, and other small seeds with stuff clinging on them can be fermented for 24 to 36 hours, and then the seeds can be separated out. Some require chilling or a rest period before you sprout them, some do not. Not all will bear fruit, but generally, even with those reputed not to, a certain percentage WILL. Many seeds from plants that are propagated by cuttings or by grafting (figs, apples, pears, peaches, etc) will not breed true – that is, the seeds will have a high percentage of marginal plants (some of which may not bear fruit at all), some which will bear poor fruit, some which will bear acceptable fruit, and a few that will bear good or very good fruit. Hybrid tomatoes, cucumbers, etc, will also have this issue, but are likely to produce some edible food. This is how plant breeding and pollination work, just like your kids, there is a lot of genetic variation in the offspring. They are included because the potential is there, and the experimentation can be fun. I recommend that you Google about growing any of these from seed, and find out what it takes to actually bear fruit. In almost all cases, determination gets the job done. Pineapple seeds – yes, some pineapples do have seeds! Some do not, but many do. They are in the flesh, close to the rind. Small black seeds, close to the size of sesame seeds, black or dark brown in color. Surprisingly, there is a lot of info online for growing pineapples from seed. Many herb and spice seeds – coriander, dill, celery, caraway, etc. Any whole seed is worth a try. Some may be heat treated. Lower cost ones are more likely to be viable. They can even grow when many years old – we had a wonderful winter crop of dill grown from dill seed that had to have been 7 or more years old, scavenged from a kitchen cupboard where it had been neglected for years. Many grains and legumes – lentils, garbanzos, black beans, black eyed peas, wheat berries, etc. Seeds from squash, pumpkin, cucumber, watermelon, cantaloupe etc. Bulbs and Tubers – Any one of these bulbs or tubers, and most others, can be re-planted. Now… some of them will bear more of themselves, others will need to go to seed to do that. A few, like onions, depend upon the variety. Potatoes – cut old potatoes so that there are two eyes per chunk. Let dry overnight. Plant. Sweet Potato – Google “grow sweet potato slips”. You can propagate from most sweet potatoes, even if they look too withered to eat. Ginger – A nice chunk of ginger root can be planted, and will grow. It is a tropical plant, and it usually takes quite some time to show growth. Jicama – Can be replanted, and will grow and produce seed. Google for info on pollination. Onion roots – Onions can be done many ways. Multiplier onions will divide and propagate. Top multiplier onions will produce more bulbs at the top, for you to plant. Standard large onions may sometimes divide, but may need to go to seed for you to expand them. Green onions may either divide into more, or go to seed, depending on the variety. Carrot Tops – Actually, any carrot can be planted and left to go to seed. Many fresh food fanatics like eating the green carrot tops as a salad green. The top of a carrot can be replanted, it will root and grow green tops, which can then go to seed. Carrots from the store need only have some visible remains of the carrot top – if they have just a circle, and no green foliage (even very little is enough), then they won’t work. Horseradish – pieces of horseradish root can be grown into new plants. Jerusalem Artichoke – These bulbs, which resemble more compact ginger roots, are prolific, and once planted, will come back year after year. They may be hard to find in stores. They are excellent animal feed, both roots and tops. Turnips – Turnips will produce edible tops if replanted, and if let go to seed, will produce more turnips. Garlic – Virtually any kind of garlic will grow if planted. Break apart into cloves, plant each clove, and they’ll divide. Shallots – Shallots are multipliers, the bulbs will divide fairly prolifically. If you purchase shallots in the store, the bulbs may have the beginnings of the division process. You can divide any bulbs that are starting to divide, and plant the pieces separately. Really Truly Scraps – These foods are typically things you would throw away. Replanting gives you another crop from them, sometimes many more crops. Potato peels – Depression era potato growing. Thick potato peels with the eyes were used instead of potato starts. Lettuce bottoms (best with roots) – Two ways to do this. One is the same as celery. The other is to buy hydroponic lettuce that has the roots on it, and replant that. It will send out many small side heads. You can also let it go to seed. Pineapple tops – they are actually specially designed to grow! Pull off the rest of the fruit. Then slice the stem, in thin slices, until you see a circle of brown dots around the edge of the stem – don’t worry, when you see it, you’ll know! If you pull away the leaves, you’ll see some brown roots curling around the stem. Pull off some more, about an inch up. Let it dry for a few days, and then plant it. Keep the soil moist for several weeks, and then settle in to a once a week watering schedule. Yes, you can get them to bear fruit. There is an abundance of information available online for doing so. Mushroom stems and scraps – bury mushroom scraps (chop into small pieces) in damp half finished compost (for Portobellos), or in damp hardwood sawdust (for shiitake). Keep damp, but not wet. Google to learn how to induce them to fruit. Cabbage bottoms – Cabbages work the same as lettuce. Onion bottoms – the bottom root portion of an onion, if cut off just above the solid part, can be planted. Just set it in a bowl of water for a day or two, then settle it into damp soil – no need to cover it. It will send up greens from the middle, and form more bulb. 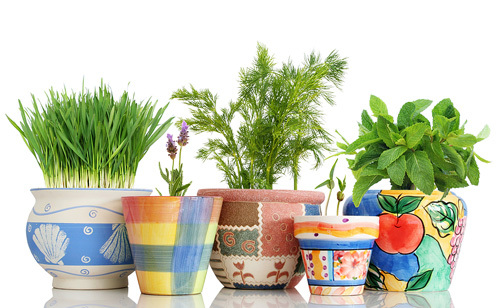 You can do these items in potting soil, or in dirt. Or in home grown compost, or a mix of all of those things. Whatever you have. Now, you don’t have a choice of varieties. There is an element of gambling here. Also, due to modern food handling methods, sometimes it just won’t work – maybe the potatoes have been sprayed with sprout inhibitor (some are, some are not), maybe the seeds have been heat treated, or maybe the food has been irradiated or chemically treated in other ways. You don’t know. But if you NEED to grow food, this is worth a try. For sheer survival, it is a great experiment, and if you ARE in a survival situation, chances are at least half of what you try is going to work enough to justify the effort. If you are on food stamps and want to grow a garden, this is one way you can get a garden going with foods you normally buy. Quality may vary, but there are still many things you can grow this way which will work nicely to produce more food with less money. Update: Our book on this topic is now available for download! Get The Scavenger’s Garden: Growing Food from Groceries and Scraps for even more kinds of foods you can grow from groceries or scraps, and factors that influence whether they will grow and produce food. “Buy gold!” they say. But the more I think about it, the less logical it seems. Oh, it makes good sense for the gold dealers now, making record sales percentages based on record high gold prices. But if you DO invest in gold, what are you going to DO with it in a crisis? There are two major issues with gold. The first is vulnerability, the second is usability. If you buy gold, there is a record of it. If things get dicey, there is a good chance the government will confiscate what it knows about, and make it illegal for you to possess it or sell it if they do not know you have it. Gold is still tied to our financial system, even if not strongly. There is a precedent for confiscation of gold, by the government. It has happened twice in history before. And this time they have a big motive. Central banks have “leased” their gold reserves. They have them on paper, but they no longer have the actual gold. The leasees have SOLD that gold. At today’s (or tomorrow’s) prices, they can NEVER buy it back. The government is all too likely to confiscate the gold of private citizens to stabilize the havoc that particular bit of slight of hand is going to cause. This one item means that if you are going to invest in metals, go with silver or platinum, not gold. They are highly unlikely to confiscate those – especially silver, as it is so bulky in comparison, and not tied to the monetary system anymore. If the government does not confiscate it (which I kind of doubt), SOMEONE knows you have that, you are on a list somewhere, that list WILL get out, and SOMEONE will come after it. Gold makes you a target. A bright, shiny one, for people who see it as the ultimate route to power in a meltdown. It isn’t… but they will still think so. Gold makes you very vulnerable to people who are a whole lot more determined to GET that than you will ever be to KEEP it – they are willing to not only kill, but to torture and harm your loved ones to get it. If you manage to keep it, it may not actually be usable! In a national or global economic crash, if currency is not longer worth anything, people will NOT automatically turn to gold. For one thing, most people simply do not have it. Those who do may find it impossible to actually USE. Your average farmer who might sell you eggs or milk is simply not set up to do business on a gold standard – if there were such a thing. In an economic collapse, there won’t be such a thing. He wouldn’t have any idea how much to charge you… or how to USE what you have. Say you have one-ounce gold coins. How do you spend two dozen egg’s worth of that? Carve off a piece? Money is nothing more than an agreed upon unit of trade. My labor for a valuation which can then be exchanged for things I need. When money goes away, people do not replace it with gold, which they can no more set a value on than any other useless thing. The currency of trade, becomes BARTER. Goods or services for goods or services. When money goes away, it just goes away, and is not immediately replaced. Those eggs have more value than your gold. You can’t eat gold. You can’t use it to stay warm. You only really have one security. Don’t invest in gold. Invest in land. Paid for, free and clear. Then USE the land. Get it producing. Get it to produce something that people will always need. Food, clothing, shelter. Things people will be willing to barter for in times of desperation. Learn how to barter. Not just how to barter this thing you have for that thing you want. But how to barter this thing of value for that thing of value to barter again for another thing of value and finally barter for the thing you want. Invest in tools of self-sufficiency. Keep a few spares. Invest in a food storage, but don’t rely on that to save your bacon. Food storage runs out. Gardens don’t. Food storage does not reproduce. Animals do! Get your continuous supply system set up and operating. It will always have value. The more you can do for yourself, and the more surplus you can produce, the better off you’ll be if things do get really hard. They haven’t yet – they only hint at really hard. Don’t expect gold to save you. The land can do that much more effectively. If you feel you must invest in some kind of metal, silver is likely to be more liquid in a crisis, and while it is bulkier, it is easier to fly under the radar with it. Even then, silver is not a highly spendable item in a crisis – it is more a means of keeping your money THROUGH a crisis, until it is over. Just something to use to store funds that you don’t want to trust to the banks, which you don’t want to sink into land and other usable items. UPDATE: Our book Growing Microgreens for Home and Farm is now available on Amazon for Kindle, or in PDF format from our Firelight Heritage Farm Books website. Learn how growing microgreens can help you save money on vegetables, and feed your animals. Ever notice how we get told about salmonella outbreaks in peanut butter whenever the economy tanks? There’s a reason for that. And a simple solution! Apparently, the oil and low water environment of peanut butter can make salmonella stubborn to kill in the processing factory environment. Heat sealing won’t quite kill them all. Usually only a few stubborn beasties are left though, and only on special occasions. So why is it that these little buggers show up every time the economy gets bad? When things are hard, people buy more peanut butter. Peanut butter sales are sort of the mercury reading of economic health. Good times, people buy meat and cheese. Hard times, they eat more peanut butter. Especially families with lots of children. No criticism there, my kids ate a lot of peanut butter, it is good food. But when things are hard, and peanut butter sales increase, peanut butter spends less time in storage, between the factory and the table. Turns out, that creates a problem. Salmonella can’t survive well in peanut butter. It can’t multiply there, and has a hard time even living. Somewhere between two and six weeks after bottling, any salmonella in peanut butter is gone from natural peanut butter and unsweetened peanut butter by the time it hits the store in almost every situation. Some ingredients help the salmonella survive longer. Sugar is one of them. Some other sweeteners act the same as sugar, giving the salmonella a carbohydrate fix that helps it last a bit longer. More sugar, longer living salmonella. It means that our peanut butter reserves in warehouses have run short. The peanut butter is spending less time in storage between packaging and the store. It isn’t having enough time for the salmonella to completely die off. This is a bit alarming when you think about it. If the economy is so bad that we are down to a few weeks supply of peanut butter in our nation, then things are worse than they may appear on the surface. Peanut butter doesn’t lie. So, what does this mean to you, and how can you be sure you are eating safe food? It has nothing to do with the government – there are a few simple things you can do to make sure your peanut butter isn’t going to make you sick. Buy natural peanut butter. Peanut butter without sugar is best. Keep natural peanut butter sealed, at room temperature, for 2-3 weeks before using. Keep sugared peanut butter sealed, at room temperature, for 6-10 weeks if you can, before using. This means having a supply on hand to use from. 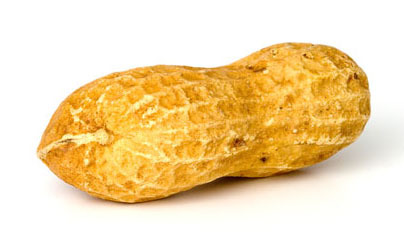 If you make fresh peanut butter, do not add sugar, and store it at room temperature for three weeks before using – the salmonella comes from the fresh peanuts, not from the packaging systems. Give it time to die. DO NOT REFRIGERATE UNOPENED PEANUT BUTTER! Store at room temp, NOT in a root cellar or cold storage. Salmonella survives LONGER when refrigerated. No need to recall “contaminated” peanut butter, just set aside unopened jars for use later. Truth is, probably a lot of what comes to your table was contaminated at one time – but the salmonella has had time to die in storage, and is no longer a risk. The problem here is not that peanuts can be contaminated. We will never be able to stop them from being contaminated, and we won’t really be able to stop some of those little beasties from surviving the hot bath of processing and preserving. The real problem is that our economy is so badly damaged that people are using far more than is being produced, resulting in a depletion of stored supplies. Under normal conditions, the commercial storage and distribution system has a built-in mechanism to ensure that the peanut butter is safe by the time it reaches your home. It is only in this kind of hard times when that falls apart because of abnormally high demand. The long term national solution is to elect a man who actually cares about fixing the economy instead of re-electing someone bent on destroying it further. A reduction in government regulations, which allows businesses to flourish and hire again, will solve the problem of the peanut butter – no new regulation is needed (quite the opposite). The personal solution is much simpler. Just make sure your peanut butter is old enough to be safe. Those who criticize Capitalism perpetuate the myth that economics are like a pie. That if someone else has a big piece, that it only leaves a crumb (or nothing) for you! Another way of saying it, is that Economics are NOT a Zero Sum Game. Imagine that you are playing basketball. When the teams come onto the court, the Referee announces that there are only 50 points that can be earned between the two teams. Not 50 points each, not playing until one team hits 50 points, but 50 points total between the two. If the other team scores, then that is one less point you can score. THAT is a zero sum game. Not much fun for basketball. Economics are like points really are in basketball. Any team can accumulate any amount of points. If the other team gets more points, they may WIN, but they don’t take away your points, nor does their earning of a point lessen the number of points you can earn. The whole lie about a single economic pie is perpetuated by people who want to keep you poor. That’s right… by people who want you to blame the wealthy for the lack of jobs, rather than blaming the people who made it so difficult for people WITH money to provide jobs for people WITHOUT money. When some people are wealthy, and others are not, those WITH money are NOT taking anything from those without. In fact, people who are considered to be wealthy pay 70% of the taxes in our nation, and they donate immense sums of money, goods, and resources to charities. WITH wealthy people, we have FEWER poor people. Wealthy people also spend money. The money they spend creates jobs. Wealthy people usually invest money, or own businesses, both of which create jobs. If there were no businesses making good money, there would be no jobs, because businesses that don’t make money don’t hire workers! If you think it is unfair that a person has a maid, just ask the maid who has steady employment if SHE feels like it is unfair. Wealthy people do not control the destiny of poor people. Poor people control their own destiny. While circumstances in life CAN cause a person to not be able to control their financial circumstances part of the time, we generally have the ability to shape our finances and earn our own pie, be it a large one, or a small one. When a nation is rich, ALL her people are better off. When a nation is poor, ALL her people suffer. This does not EVER mean that there are not some who have more than others. That is just a fact of life. Another fact of life is that when government TAKES from the rich, to GIVE to the poor, there are FEWER RICH, and MORE POOR people. It does NOT lessen the number of poor people. It INCREASES them. Want proof? Look at EVERY nation that has adopted socialism. The majority of their people live(d) in poverty, while free capitalist nations thrived with comparatively few poor people. The ones who did not live in poverty in socialistic societies were those with privileged places in the government – who skimmed off the top and allotted themselves a greater portion than they allowed for anyone else. Is that more fair than having those who EARN the money KEEP the money? Absolutely not! It makes everybody suffer more. When a nation encourages people to BE wealthy, more people ARE wealthy, and they share that wealth with the needy more freely. Heavy taxes on the wealthiest people does NOT encourage wealth, it discourages it. It also discourages hiring, spending, and donating by those with money – all of which are activities which help OTHER people to be more financially secure. So if you think it is unfair that someone else has something you don’t, then get out there and start baking. Their pie isn’t stopping you one bit! Go make your own! I suppose there are actually many kinds of forgotten livestock, and I’m only pointing out one. The Pigeon. Relegated to the impractical role of show and contests by most, the Pigeon was a bird that was found on every farm, and generally used and encouraged, though no one would have thought they needed to go out of their way to see that the Pigeon stayed there! The farmers before the day of big ag accepted Pigeons as part of life, and used them because they were always there. They did not think about the uses of the Pigeon on the farm – they did not need to. They were always there, they did what they did, and the farmer did not have to worry about the tasks that the Pigeons carried out. It was done, so there was no thought regarding any need to manage the job. Pigeons are always on the lookout for an easy meal. They like to hang out in barns. Not only are there eves for roosting and pockets for nesting, there is feed to cleanup. If the Pigeons clean up the feed, then it does not attract rodents, or other pests. Plenty of other uses for Pigeons on the farm – for meat, for feathers, manure, animal food, etc. Pigeons were there, so they might as well be used. After decades of dwelling in cities and suburbs, we’ve gotten out of that habit. We often overlook resources, simply because we are not used to using them, or even owning them. We haven’t just forgotten Pigeons. It isn’t just Pigeons that used to be useful and are now classed as a nuisance. We are that way about many things. Having turned our world upsidedown by compartmentalizing things and removing ourselves from nature. Pigeons are one small part of it. One that may be easier to recapture than others. If you take a look around, you’ll probably find others. I’d love to hear about them. UPDATE: Our book Raising Pigeons for Meat: Reviving the Forgotten Livestock is now available for Kindle, on Amazon, or in PDF format on our Firelight Heritage Farms Books website. They won’t fight if their freedoms are stripped from them, if they are well fed. Because instinctively, they do not feel threatened until they are hungry. When they fear where the next meal will come from, they will mobilize to war. This is why, right now, the unemployed are NOT calling for revolution, but people who depend upon natural foods for their health ARE. Because one group is being BOUGHT OFF, and lulled into a sense of false security by Obama’s largesse with Food Stamps. The other is being threatened with the loss of their required foods – they feel threatened with hunger. Obama fully knows this psychological reality. This is why he is so free with food stamps. So those who are ON food stamps are now dependent upon them. THEY fear that they WILL BE hungry if they lose them. They are an easy target for socialists who cry that a conservative government will take them away. Being dependent upon the government makes you easily manipulated by the government, through fear, and the Obama camp well knows it, and is taking full advantage of it (this is also why his administration is strangling people’s ability to grow their own food and to cooperate with their neighbors to supply each other). As long as this situation remains unchanged, we have an entire sector of society which feels threatened at the thought of LOSING food stamps. They are voting with their stomachs. We CANNOT restore the Constitution as long as such a high percentage of society lives in fear and is voting with such a warped set of priorities. They will never WANT the independence that the Constitution gives them, because that independence REMOVES the safety net they feel they need. I have been VERY reluctant to support Romney. I am Mormon. I am grounded in the same religion he professes. This does not make me want to vote for him just to have “a Mormon President”, any more than I would vote for someone based on their skin color. His politics are not my politics. I came to the conclusion that I had NO CHOICE but to vote for him, because he was the ONLY OPTION that offered ANY HOPE AT ALL. Perhaps he would not keep his word. Perhaps he would repeal Obamacare and replace it with something worse – I would have felt better if he had just left it with “Repeal”, because we have NO NEED to “replace”. Many things make me VERY UNEASY about him as a candidate. But at least there is THE CHANCE that we will see another free election if he is elected. There is NO HOPE of that if Obama is elected. Romney has limits. Obama has none – there is no limit to the degree of depravity to which he will stoop, no limit to his dishonesty and corruption, no limit to how much power he will usurp. He has shown himself capable of any degree of abuse of power. I finally have one thing on which I can say with assurance, I fully support Romney in regards to. He has presented a plan for creating jobs, by opening up Energy Development. Execution is simple – the government just needs to GET OUT OF THE WAY. Obama has done the opposite. He has obstructed, bound, and chained us, and much of that has been through energy. His “energy incentives” went to companies that went bankrupt – poured down the drain and evaporated into nothing. The energy we depend upon was strung up and castrated. We need this. This ONE THING is enough to turn things around sufficiently that we will have MORE CHOICES at the next election cycle. We can’t win it all this time. But we can live to fight another day. Our nation cannot survive even another two years under Obama. It cannot because HE WILL NOT LET IT. Destroying it is the goal. It is meant. It is deliberate. On other things I value – returning independence to small farms, reducing red tape for small business owners, restoring rights to parents, reducing government entitlements, and getting rid of Unconstitutional mandates and decisionmakers. There’s no telling whether Romney will make any progress on them. I hope that he will. I do know that under Obama, those things WILL GET WORSE – it is a certainty. If they get no better under Romney, then that is grudgingly better than having them get worse. Will I accept that as the best we can do? Absolutely not. But the uncertainty of lack of progress is FAR BETTER than the CERTAINTY of rapid deterioration. I am still not happy with my choices this election. But I am reconciled to them, and I no longer feel like I am hanging my hope on an invisible peg. I have found something solid on which to hang it. Just one thing. But maybe that one thing will be enough to STOP the cascade failure, even if it cannot turn it around fully. It may be just enough to stem the fear of hunger, so that people can vote with a clear head. I will vote for Romney – not with full confidence. But with hope that it will be just enough. 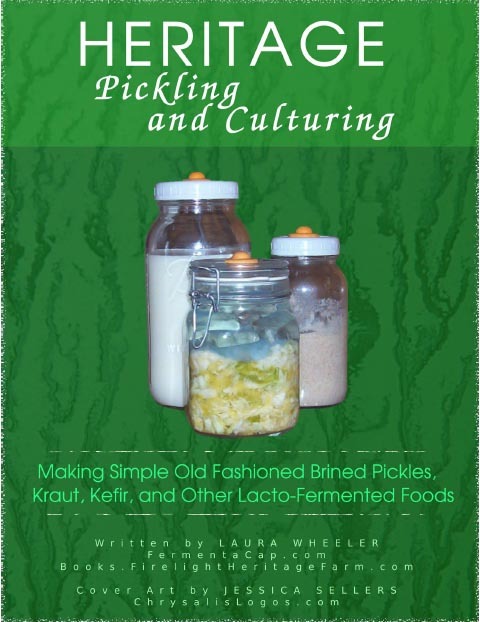 UPDATE: Our book Life from the Garden: Grow Your Own Food Anywhere is available in print through Lulu.com, or in PDF format from our Firelight Heritage Farm Books website. I believe that one of the reasons so few people prize Liberty anymore is because they do not know what it is. They equate Liberty with “getting what they want without working for it” instead of “the freedom to choose to prosper without the help or permission of anyone else”. Early immigrants understood that if you wanted to “eat from porcelain”, you had to work to do so. What they wanted was the OPPORTUNITY. They did not want someone to hand them a finished product. They knew that if someone did that, it would be someone ELSE’S idea of what they needed, not THEIR idea. When you are restricted to accepting what someone else thinks you need, you are not free, you are a slave. The more the government does for us, the fewer choices we have. If the government provides housing for us, then we have to accept their idea of what we need. Take a look at Low Income Housing, and see if it is all you want for the rest of your life. If the government provides food for us, then we must accept what they deem is appropriate for our food, and we must accept the amount of food that they deem appropriate. Food stamp recipients receive the amount the government dictates, and can only spend it on things the government specifies for it. If the government provides healthcare, then we must accept them dictating what conditions can be treated, how they can be treated, and even who is eligible for treatment. We have surrendered our right to choose what we prefer, by giving someone else the responsibility of providing it. Product safety – we use common sense rather than expecting the government to make sure it is all safe. And yes, even things such as Disability, Retirement, Insurance and other “safety nets” that we think we cannot do without. If you want true freedom, you have to step up and do the work. When someone else provides for you, whether it is the government or someone else, THEY decide, you do not. If you go to a Soup Kitchen for a meal, they will hand you a meal. You don’t get to decide what you’ll have for dinner that night, they decide that. Any help you receive from anyone is based on their determination of your needs, not your own. The early immigrants had had enough of that. Someone else had made the decisions for them long enough. How sad for their posterity, that they are so willing to give it all away, for the hope of the ease of having someone else do the work so they don’t have to. The real irony of it all is, that as soon as you are enslaved, you realize that not only is the government making the choices for you, YOU are still having to do the work. Eventually, the money runs out. When it does, the eligibility standards tighten and tighten, and pretty soon everyone is impoverished, and everyone is slaving for the government, to feed the fat hog that takes its portion from the top before anything is disbursed to the starving masses. Equality never meant that everyone had the same things. All it meant is that anyone who chose to work had the same potential of having more, and of deciding for themselves what they did with what they earned. It did not then, nor does it now mean Equal THINGS. It just means Equal CHOICE, and Equal RESPONSIBILITY. When we have the Freedom to choose, and the Responsibility for our own life, then we are truly a free people. If we do not understand that, we will never comprehend the value of Liberty.